A large 8 light ceiling pendant with a gyroscope design in a black finish, suitable for use in any rustic setting and ideal for high ceilings and barn conversions. 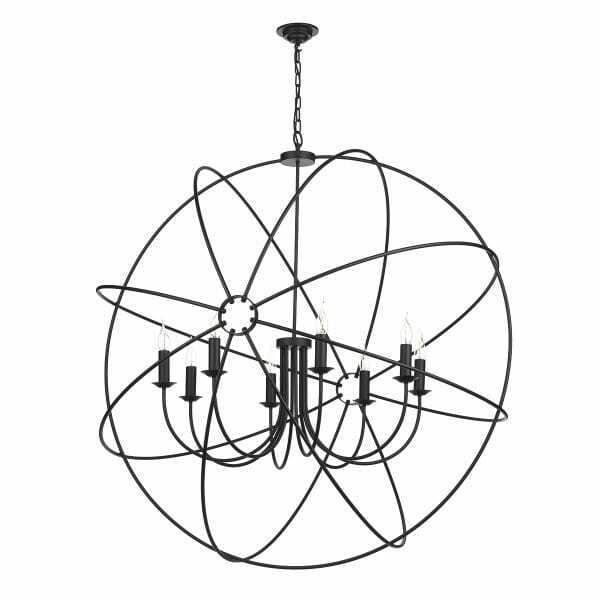 This would make a great feature light in a long drop stairwell or above a dining room table. This light can be used with a dimmer switch.